Ships from and sold by SEMOICAOAOAO. 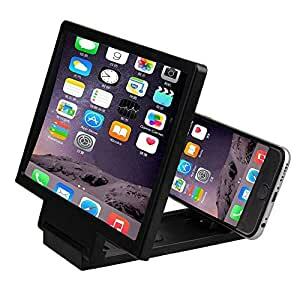 Purchased for phone when I received it it was all broken from frame to the flimsy magnifier screen everything very very cheaply made do not buy spend extra and get a good one very sorry I bought this one!!!!! I does work even if the screen had a few scratches on it . It cost more than it's value to return. I was told to keep it instead. I would in the future take a look at their products.